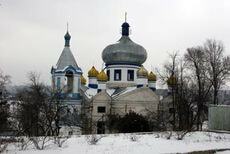 Bocancea Monastery is located in the village of the same name, Singerei district, 105 km from Chisinau, 40 km from Balti. 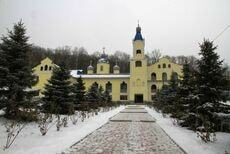 Briceni Monastery was founded in late 1999, the city Briceni Edinet district, about 225 km from Chisinau. The monastery was in Forest Grove Sanitarium îmtemeiată Briceni place by the late Reverend Dorimedont. Sanatorium former club building was converted into the church, dedicated to the Resurrection, originally as a monastery for monks, but considering that gathered little creatures, was reopened in 2001 as a monastery for nuns. On May 28, 2000, dedication of the chapel dedicated to place St. Cyprian the Martyr. 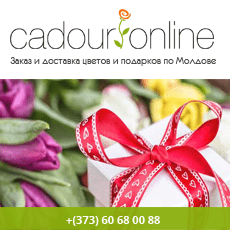 In particular monastery is helped by Christians in Northern and from the forests of Moldova. Currently five creatures live here.